OKI proColor C711WT | PKA Associates, Inc.
heat transfer paper printer can print a full spectrum of rich, high-definition colors – including more than you’re used to! market, so you’re never limited by your printing again. 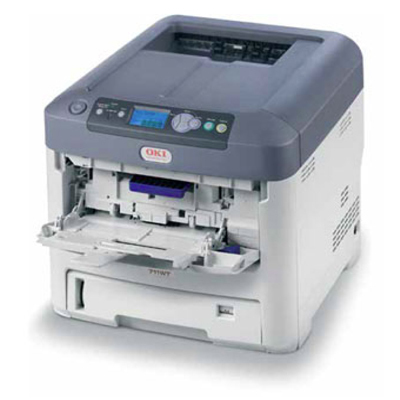 The OKI C711WT features a straight through media path to print up to 140lb weight media, transfer media up to 8.5 x 14, as well as a 530 sheet lower paper cassette to handle every-day printing. 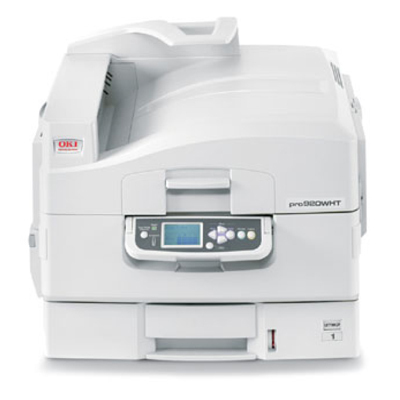 With easy to use printing drivers that allow you to control your printing details, the OKI proColor White Toner series offer heat transfer decorators a level of production and cost-efficiency that other processes just can’t match, on a large and short-run scale. Be the first to review “OKI proColor C711WT” Click here to cancel reply.